Roger METALLIC Avau is a standard bearer of the very old school of Brussels text graffiti. Starting out as a print media documentalist with the Belgian public broadcasting corporation, from 1976 he took a deep interest in graffiti, set up a Documentation foundation and worked tirelessly to see graffiti acknowledged as urban poetry. 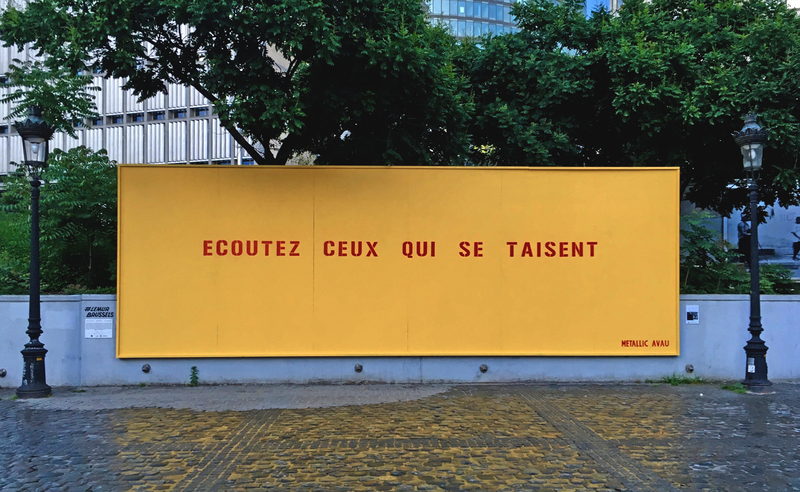 At the time, his graffiti works « Arrêtez le monde je veux descendre » (Stop the world, I wanna get off) or the numerous « Tout va bien » (All’s well) signs in the Louiza/Louise tunnel were the first to create a buzz. Since 2010, in between monumental graffiti works, he has been publishing his poems (or / words /) in the « Mots clés décroisés » section on the Entre les Lignes (Between the Lines) website.